What Story Are Your Monthly Marketing Numbers Telling? Measuring your success in an inbound marketing program is not as straightforward as putting together your quarterly sales report. Although there are still metrics you should track and quantify, your marketing reports should also tell the story of how well your program is performing – the “so what” your executives will truly care about. 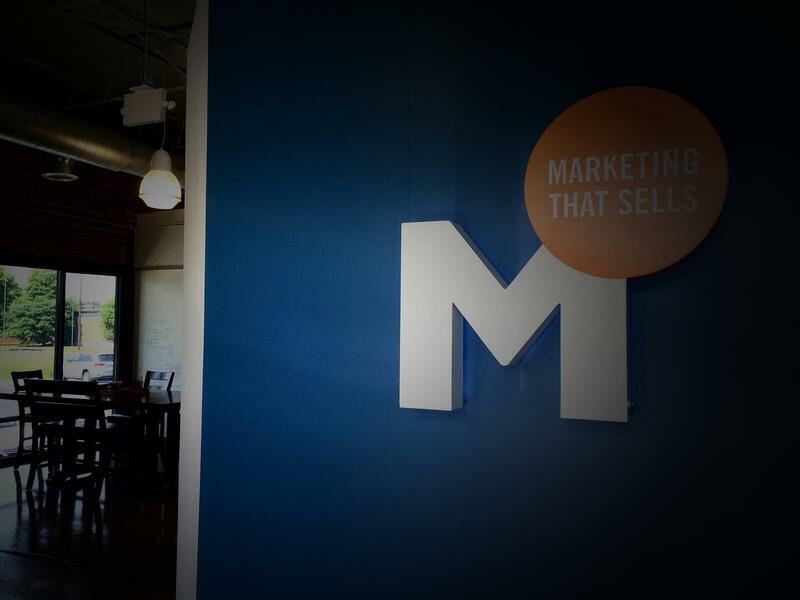 Inbound Marketing at its core is all about drawing customers to your business and filling the sales funnel. This is done with a multitude of strategies, but they can all be boiled down into two main categories: brand awareness and lead generation. The first step in building leads is to get your message out and bring people back to your site. We can track this goal by monitoring website traffic. Inbound marketing is designed to drive visitors to your website. Your web copy, content, and calls to action should all work to draw potential customers to your owned properties. Once prospects are on your site, your goal is to get their information so you can continue to deliver the best content for their specific needs. By increasing the number of visitors to your website the potential for gaining them as a lead or customer is much higher. Comparing website traffic from month to month in your marketing reports is one metric you can use to watch for trends and determine if certain campaigns draw more visitors than others. For example, the email campaign for Company A (below) was run every two weeks for a period of two months. You can see the increase in traffic that occurred as a result in the month-by-month comparison in the fourth quarter. Keep in mind, there is always an ebb and flow to website traffic due to the industry, time of year, and even holidays. It is always a good idea to compare the traffic numbers to last year’s numbers in the same time frame. You can see from the example below that the marketing campaign is moving the mark on visits to the website in comparison to last year. 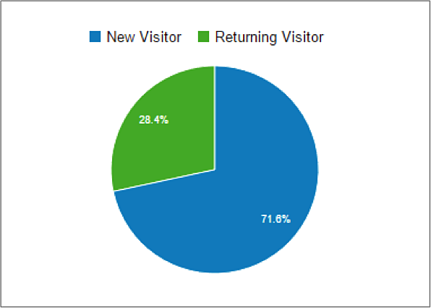 Next, you should be measuring the number of returning visitors you have each month. Returning visitors are more likely to include potential leads, but at the very least demonstrate the quality of your content and the right messaging. Tracking return visitors allows you to see what content interests your visitors the most, what they’re converting on, and even what’s not interesting them. Remember: you should be constantly analyzing and optimizing the performance of your marketing efforts. Your Google Analytics account, and most marketing automation platforms, should differentiate between overall web traffic, unique visitors (new visitors), and returning visitors. As mentioned before, the more information you can gather from your web visitors, the better you can continue to deliver the right content to them. Are your visitors clicking on calls to action? Filling out forms for premium content? Registering for your next webinar? The more engaged a visitor is on your site, the more likely they are to become a potential lead. Form submissions allow you to understand the interest visitors are showing in your content and your company, and will help you provide relevant, useful content to your audience. Brand awareness is measured in reach to a specific audience. The metrics you should focus on here are referral traffic, brand mentions, and brand followers. Visitors to your website are tracked by source. If someone clicks on a link to your site from another site, or even a social media channel like Twitter, you can see this activity reflected in your website traffic reports. Measuring referral traffic will tell you the effectiveness of your messaging, content marketing, and social media strategies. Referral traffic provides greater visibility to your content, and more opportunities for visitors to convert into leads (and hopefully customers). Social media monitoring should be an important part of your monthly marketing report. Watch for trends in the number of times your brand is mentioned on any given social media channel. The more mentions your brand has the more awareness and reach you gain, and the better you understand what your target audience is interested in. Keeping track of follower growth on social platforms is key to understanding your reach and opportunity. While new followers are not always leads, they are potential brand advocates and shouldn’t be ignored. Followers are people who will engage with your message and even share it to their followers. The more followers you have, the more opportunity for your brand and messaging to reach your target audience. Are you increasing the number of people in your funnel? Are you attracting the right people to your funnel? Are you reaching your target audience, and are they paying attention to what you're offering? Are they converting into leads and then customers? At the end of the month, quarter or year - it is all about revenue! 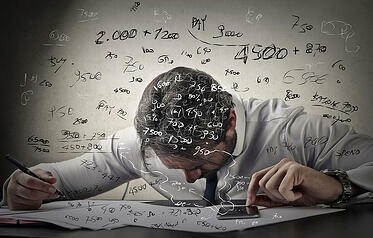 Are your marketing dollars doing their job and increasing revenue potential? If you follow the numbers and watch the trends monthly, you can adjust the strategies that are or aren’t working to help craft your story in your next marketing report.